Last Tuesday we sent out an appeal for donations on Giving Tuesday. Since then, thanks to several of you who came forward about your unsuccessful attempts to donate, we looked into these issues and address them here. 1. Network for Good link goes to an error page saying cookies must be enabled to make a donation. We have notified Network for Good of this problem and they said they would put their technical team on it. In the meantime, we find that the link usually works the second time you try clicking on it, opening up a second tab. Please click on the link twice! 2. Network for Good does not allow donations using international credit cards. However, it does allow for the use of international PayPal accounts. 3. There is nowhere to donate on AmazonSmile. Rather, when you shop on AmazonSmile, the AmazonSmile Foundation will donate 0.5% of the purchase price of eligible products to the charitable organization of your choice. Please select Solar Household Energy Inc from the list of organizations, to support SHE at no extra cost to you. – Our MightyCause (formerly Razoo) crowdfunding page. 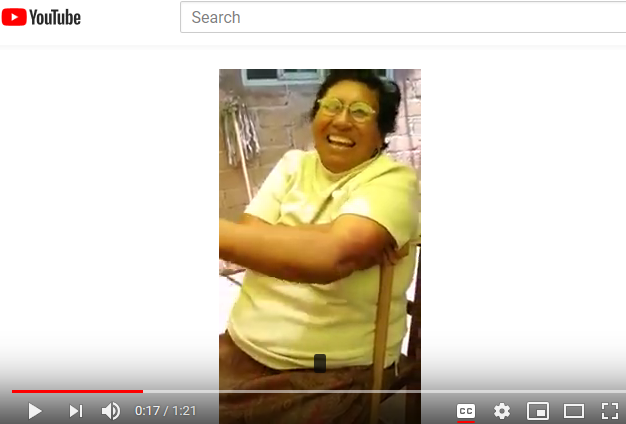 In case you missed it, here is a testimonial video featuring Esther, a senior woman living in Tlacolula, Oaxaca, enthusiastically describing the wonders of her new Haines solar cooker. Click link to view on Youtube. Esther, a customer of Lorena Harp’s solar cooker social enterprise in Oaxaca, launched with SHE’s support, describes how beans and other dishes taste better when cooked in the Haines solar cooker, how it saves her gas, fuelwood, and time, and how she would like to have at least four solar cookers to cook different dishes simultaneously. ← On Giving Tuesday, give the gift of solar cooking to those in need!